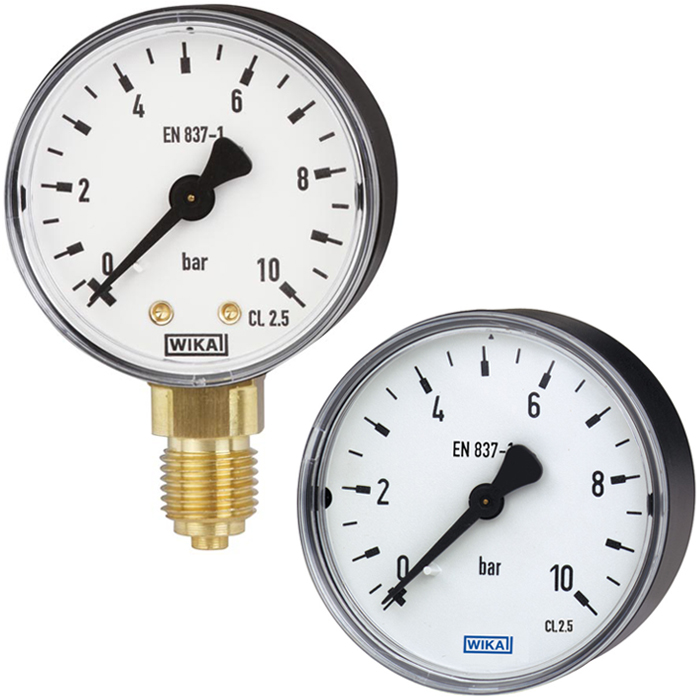 The model 111 pressure gauges are based on the proven Bourdon tube measuring system. On pressurisation, the deflection of the Bourdon tube, proportional to the incident pressure, is transmitted to the movement via a link and indicated. 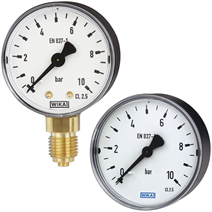 For mounting in control panels, the pressure gauges can, depending on the process connection, be fitted with a surface mounting flange or with a triangular bezel and mounting bracket. The standard version of the model 111 is manufactured, cost-optimised on modern production lines, in volumes of several million instruments per year.